Anno's Journey is a beautifully illustrated, wordless book. 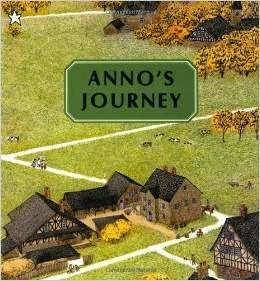 Anno captures the charm of many villages as his character takes a tour through the northern part of Europe. Each page of Anno's Journey is filled with incredible details; in fact, I sat and pored over each one for several minutes. 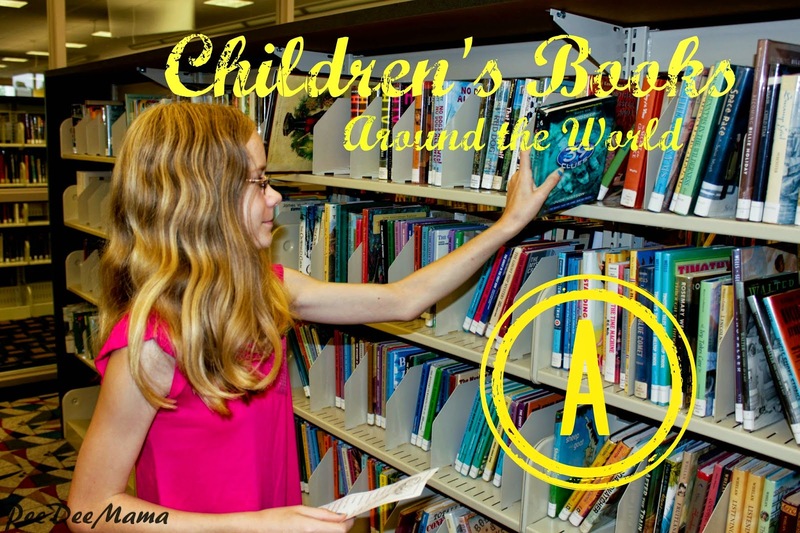 There are so many hidden treasures in each illustration - details from paintings by masters like Renoir; several different children's games, characters from Sesame Street, Pinocchio, The Pied Piper, and other stories; a race; a romantic tale shown over several pages; as well as many other things. After this book, I now have an even greater desire to visit classic villages in Europe, especially in Holland and Germany. Do you have somewhere you would like to visit?